Garlic chive buds are small, yellow to white, unopened, oval floral buds. These buds appear on the top of green, flat, and wide stems with small fibrous bulbs in the ground at the base. Garlic chive buds have a mild and pungent flavor. Garlic chive buds are available in the summer. Garlic chive buds, botanically classified as Allium tuberosum, are also known as Flowering chives and Gau Choy Fa in China. Garlic chive buds are used for both culinary and ornamental purposes and are extremely popular in Asian cuisine. Garlic chive buds contain some vitamin C, calcium, and iron. 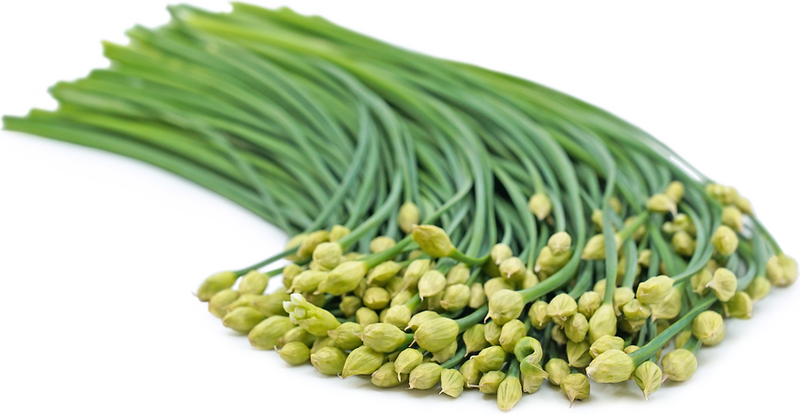 Garlic chive buds can be used in both raw and cooked applications. They are often used as a garnish and can also be pickled and paired with charcuterie. When cooked, Garlic chive buds are used in stir-fries, chopped in meat dishes, or minced into dumplings. Garlic chive buds pair well with noodles, broths, potatoes, eggs, mushrooms, tofu, and shrimp. Garlic chive buds will keep for a couple of days when stored in the refrigerator. Garlic chive buds are highly favored in Chinese cuisine and are often referred to as "jewels among vegetables." The most popular dish incorporates Garlic chive buds into a stir-fry with oyster sauce, mushrooms, and shrimp. They are also enjoyed in China in scrambled eggs and meat dishes. Garlic chive buds are over 4,000 years old and are native to southwestern China. 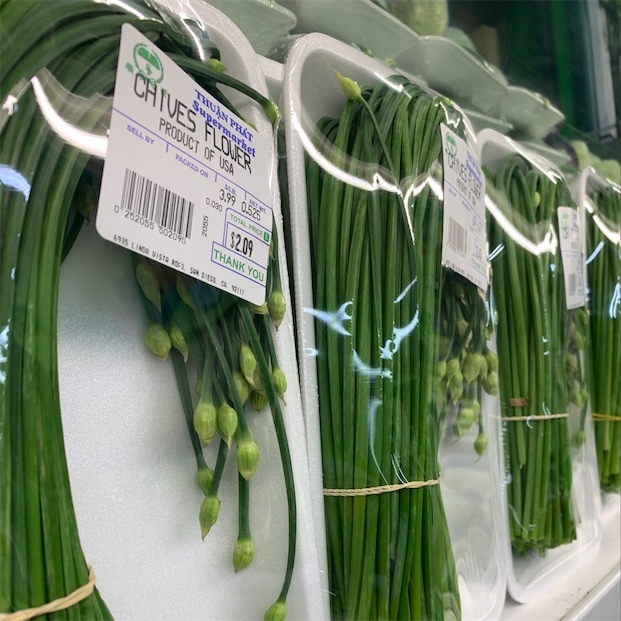 Today Garlic chive buds are found in well-stocked grocery stores, farmers markets, Asian markets, and home gardens in Asia, Europe, and the United States. Recipes that include Garlic Chive Buds. One is easiest, three is harder. 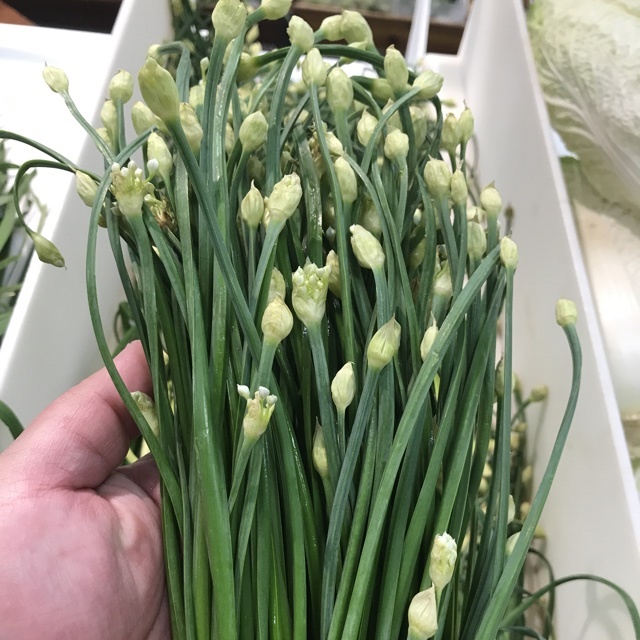 People have shared Garlic Chive Buds using the Specialty Produce app for iPhone and Android. Sharer's comments : It’s spring! Chive flowers! 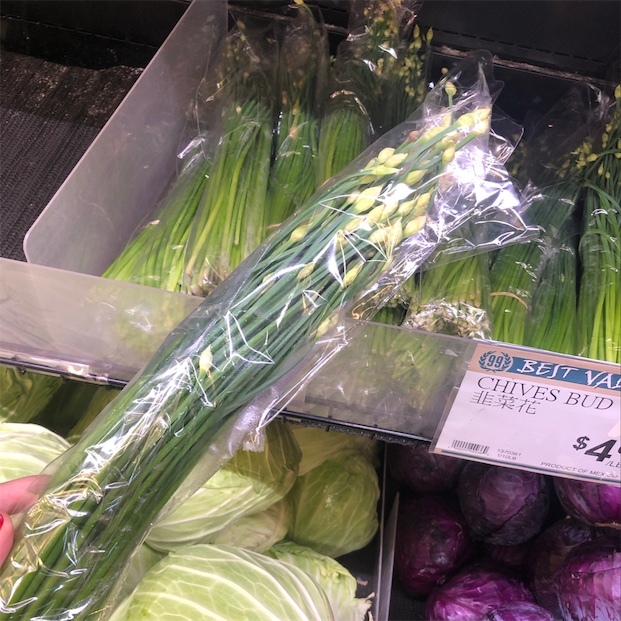 Sharer's comments : Garlic Chive Buds spotted at H Mart. 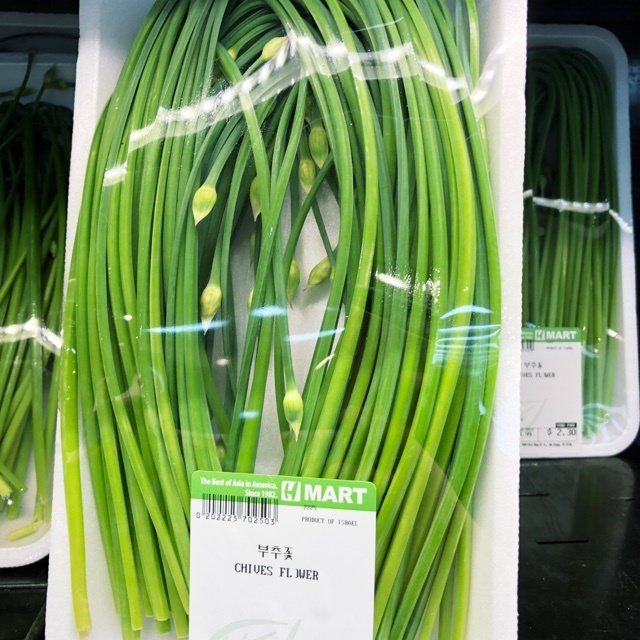 Sharer's comments : Garlic Chive Buds spotted at Your Dekalb Farmers Market.